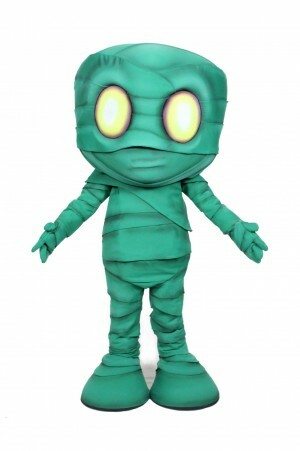 This is Amumu from “League of Legends”. 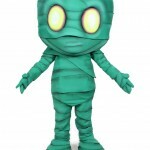 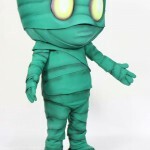 The Amumu corporate mascot is a custom walkabout costume for Riot Games and is unavailable for public rental. 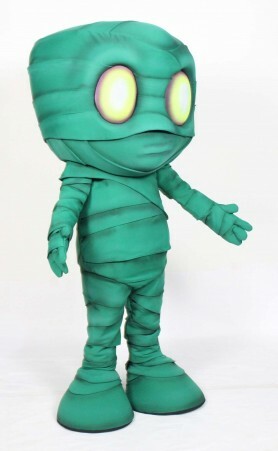 The Amumu custom mascot was constructed using traditional foam technologies paired with innovative special effects features enabling the eyes to fluoresce as well as glow in the dark.